The development plans now under discussion have been reduced to include 303 senior homes and apartments and 48 assisted living units. All retail/commercial uses and non-senior housing have been eliminated. And, thanks to our advocacy, all additional development in the future beyond the senior units has been eliminated. As the developers, National Lutheran Communities and Services (NLCS), continue working with the City on their most recent proposal, traffic improvements need to be agreed upon. The improvements proposed are solid, but also should include a parallel road from Skipper Lane behind the CVS to connect to the main road through the development. This would give senior residents direct access to the shopping center, eliminating the need to use Forest Drive and Spa Road for these trips. Improvements must also be made ahead of any development to be sure that construction trucks entering and exiting the property will not adversely impact traffic flows and safety. 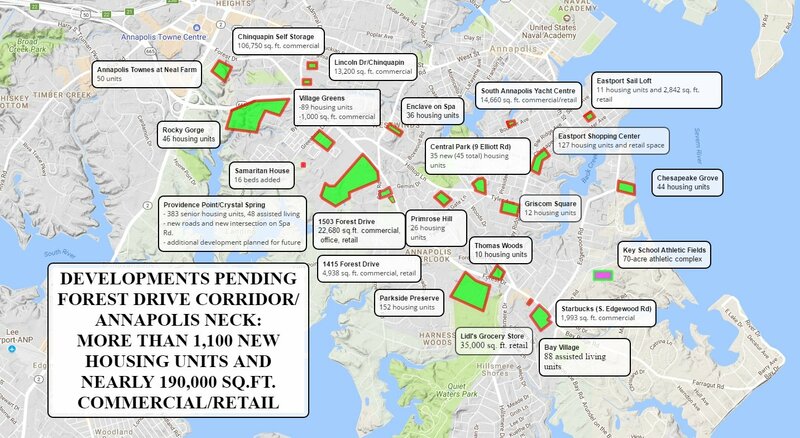 Moreover, Crystal Spring is only one of 23 new developments currently pending for the Annapolis Neck corridor. 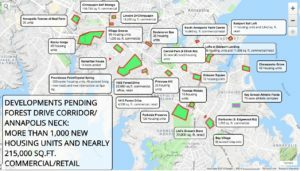 The map below documents the more than 1,000 new housing units and nearly 190,000 square feet of commercial and retail space planned for or already under construction in this sector. 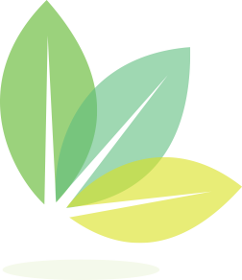 The Forest Drive corridor is at a critical crossroads. Sound planning dictates that decisions on Crystal Spring should not be made in a vacuum, but should include projections for the traffic from the new 1,000 residential and the commercial developments on and near the Forest Drive corridor. Holistic solutions should be in place to address the horrific traffic problem threatening property values, quality of life and public safety.